St Francis Rangers suffered a 4-1 defeat at home to Selsey on Saturday. 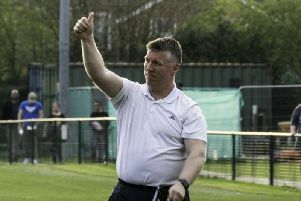 Manager Jack Stevens made eight new signings in the week but on a couple were available. Lindon Miller and Ryan Morey gave Selsey a 2-0 lead and that’s how it stayed until the last two minutes when Josh Hall grabbed a brace and Ross Smith got a consolation with a great strike. Steven said: “With us making eight new signings in the week and only a couple of them being available we didn’t know what to expect. “The game started and it was end to end. Unfortunately, the Selsey took a one goal lead in to half time. Probably what they deserved. “As the second half started we were still in the dressing room and didn’t look up for it. Selsey managed to score another three before Ross Smith scored what could be goal of the season. Rangers travel to Hailsham Town on Saturday. Stevens’ men are bottom of the table, joint on seven points with Mile Oak. Hailsham Town are currently eighth.